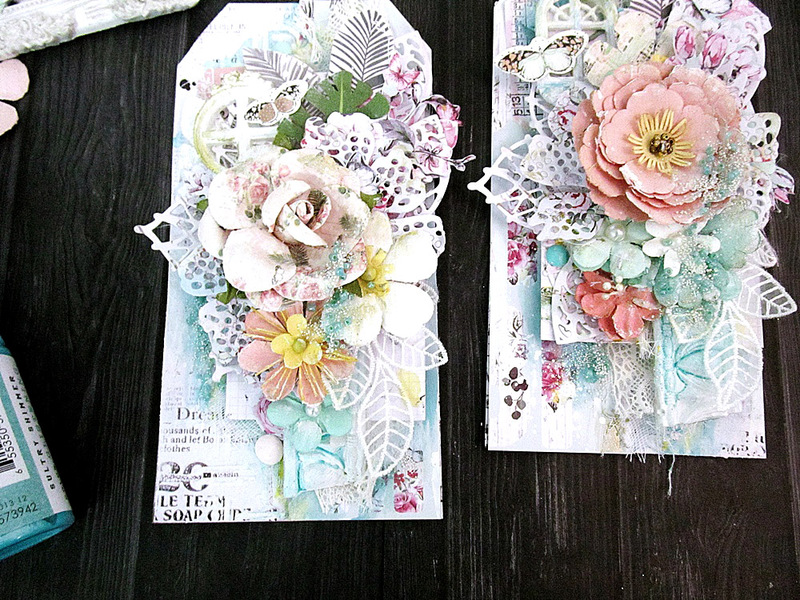 Love making tags? Today we are jumping off the mixed-media diving board to explore a whole sea of FUN products you can use to create gorgeous texture and color on your projects! 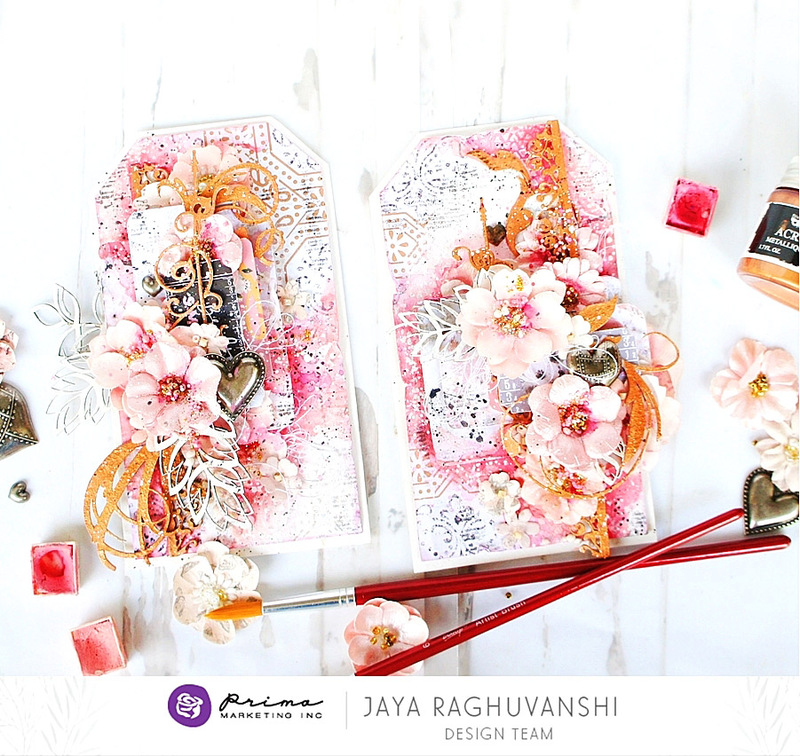 Nadya, Jaya, Marta, and Kavitha each have a tag or two filled with mixed-media products! Let's see what they used + see a new contest we just started! 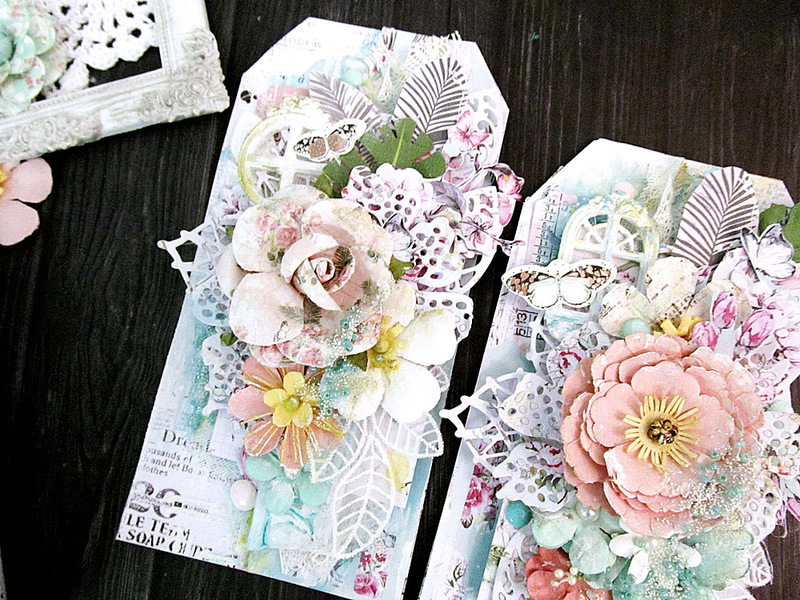 The world's your oyster when it comes to mixed-media products! However, there's no need to look any further than Finnabair's line! From basics like gesso and modeling paste, to Art Stones and Rust Paste, to Imapsto Paints and Metalliques, you will find everything you would ever want to create a base, add texture in all forms, then color away! Look for these products in your local store and now at Michaels Stores, where all of Finn's products are 40% off this week. Then join in on our new contest!